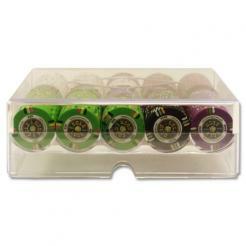 The Gold Rush poker chips are produced with a quality clay composite material. These chips are from Claysmith gaming and have a quality weight and feel to them. 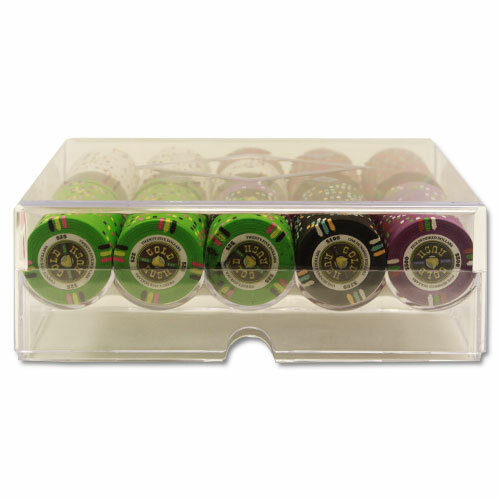 The chips have denominations on both sides and are available in 12 different colors/denominations. 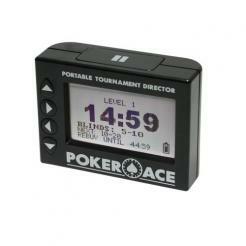 You choose how many of what colors you want in the 200 chip set.